HOA Fees — Hated or Just Misunderstood? Nearly every homeowner in a condo or HOA has asked themselves at one time or another “What do the HOA fees pay for”. The answer is different for every community but the fact is the average homeowner doesn’t know where HOA fees are spent. Heck, you probably have a better idea where the homeless guy is going to spend the 2 dollars you gave him this morning. But every member of the HOA should know where the money is going — or at least be able to easily find out. It seems that there is a lack of understanding when it comes to HOA fees. This lack of knowledge isn’t just among the general membership, sometimes board members don’t fully understand HOA fees, and their role when it comes to the finances. You don’t get to choose where the money is spent. Well… not directly anyway. This is a harsh reality for some homeowners. Where the money is spend is determined in large part by the governing documents at the discretion of the board of directors. There are some occasions where the general membership votes on a capital improvement but most expenditures are determined by the board. HOA dues are not voluntary. Just because you don’t like the direction of the HOA, it doesn’t mean you can just stop paying your dues. In fact if you want to effect change in your community, failing to pay your dues will hinder more than help. Most HOA boards are doing pretty good. There seems to be a natural suspicion that HOA boards are a power hungry group with diabolical plans to spend HOA money foolishly. The fact is, most boards are very thoughtful and careful with HOA money. After all, they’re homeowners too and have the same interest in spending the money wisely. 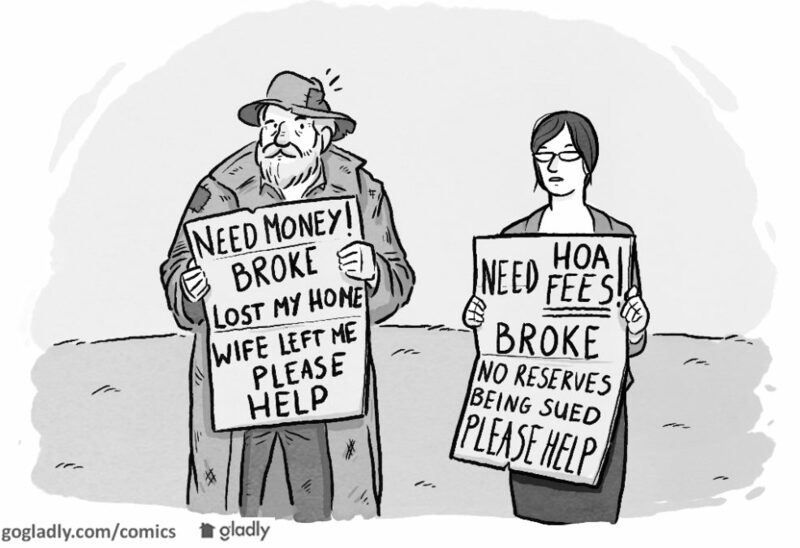 HOA fees are someone else’s money. Financial responsibility is a big part of your fiduciary duty and remembering that it’s someone else’s money can go a long way to helping you make sound decisions. These decisions range from how the money is spent, to how it is protected. Keeping dues low is not your job! I once heard a board member say “it’s our job to keep dues low”. 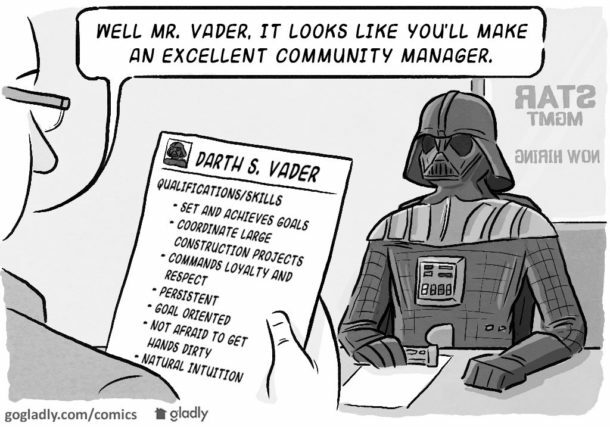 As a community leader your job is to act in the best interest of the association. Sure, reducing costs should always be a priority but failing to collect sufficient funds to cover current and future expenses can be a more costly mistake. Clear financial reporting is your job. To often board have the attitude that “We are working hard to run the community so just trust us and don’t ask questions” This is not only wrong, but it is detrimental to your overall goal. When homeowners understand the goals of the community and have access to see where their money is being spent they are more likely to be supportive. And even if they’re not supportive, a debate based on facts is always more productive. Few things get people riled up faster than misunderstandings about finances. HOA fees are no exception, but understanding how they work leads to more productive conversations, greater accountability, and happier communities. Look at your governing documents and the state law. I betcha these monies are called assessments — not fees. The March/April 2016 issue of The Educational Community for Homeowners magazine, ECHO Journal, and Community Associations Network ran an article I wrote, “What Homeowner Associations Can Teach Governments About Spending.” Governments can learn a great deal from community associations that are prudently spending their neighbors’ money as they address important needs in HOA communities. Most boards of directors for HOAs are loaded with miserable petty tyrants who have no control over their own lives so they need to play out their life issues on someone *else’s* canvas. Was never so glad as when I got out of that game. You can “lawyer” about that all you like; facts are facts; black will never be white and night will never be day no matter how much verbiage you apply to it.